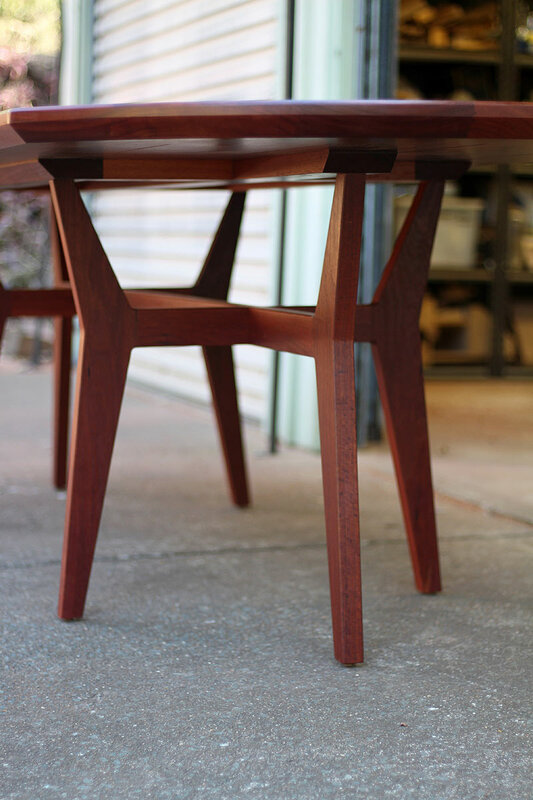 Description: The brief for this project was to create new matching bases for 3 existing period tables: a dining table, coffee table and side table, and remodel and refinish the existing table tops. 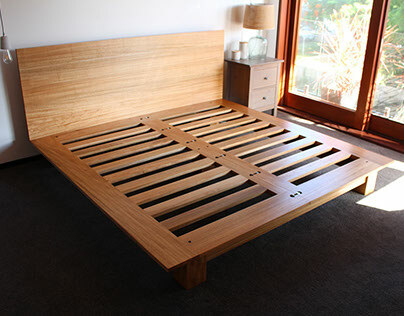 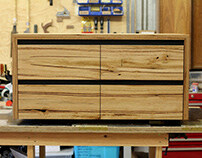 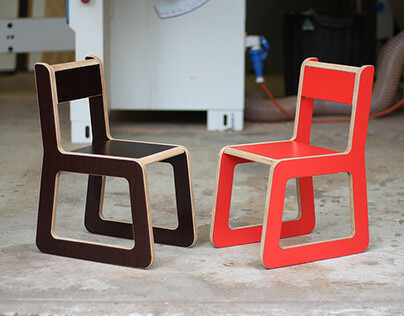 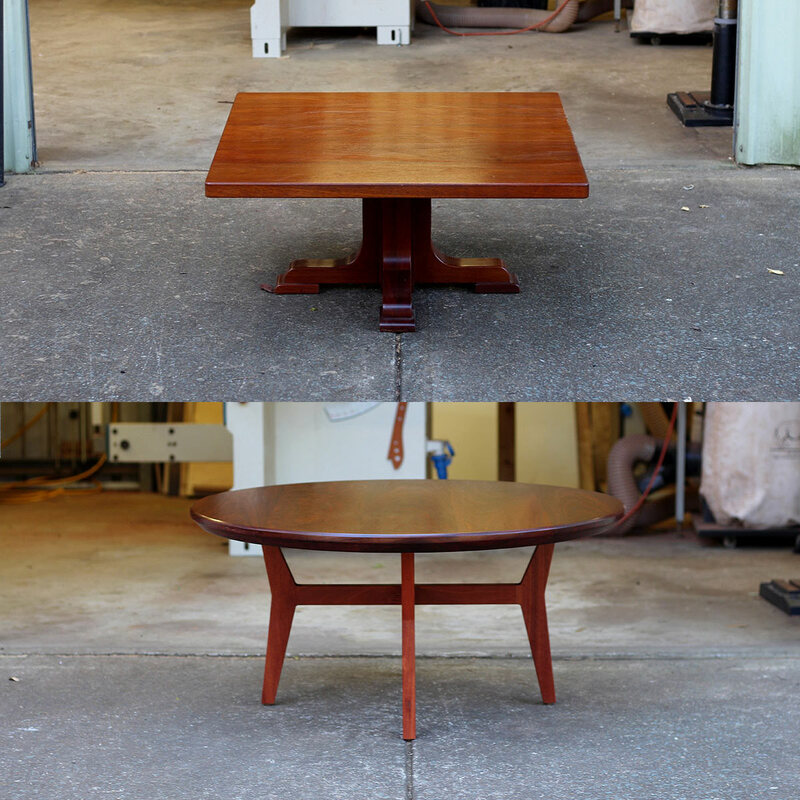 The new bases were to be in a modern/mid-century style to match the client's new home. 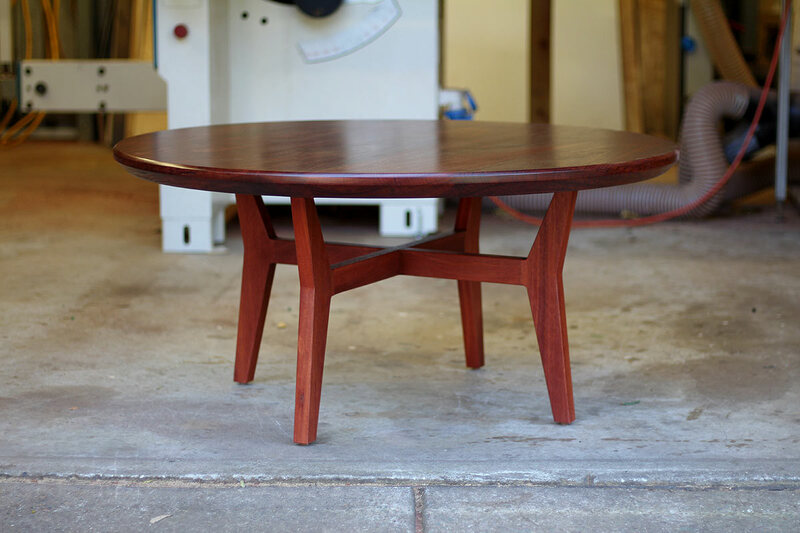 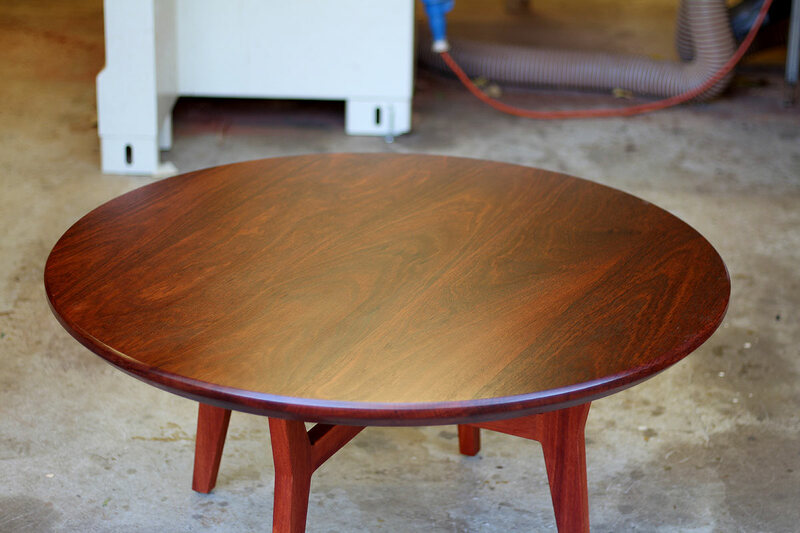 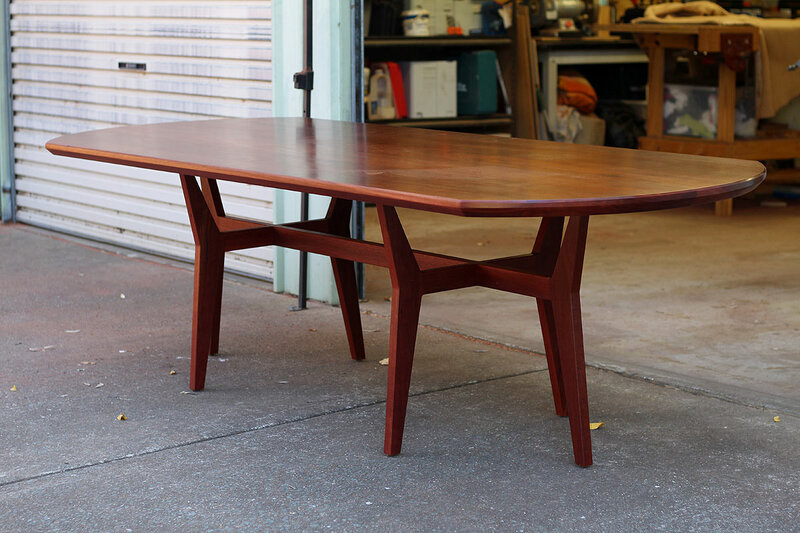 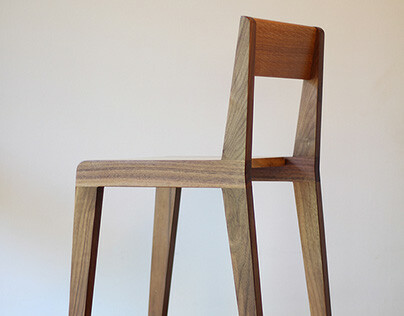 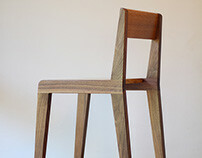 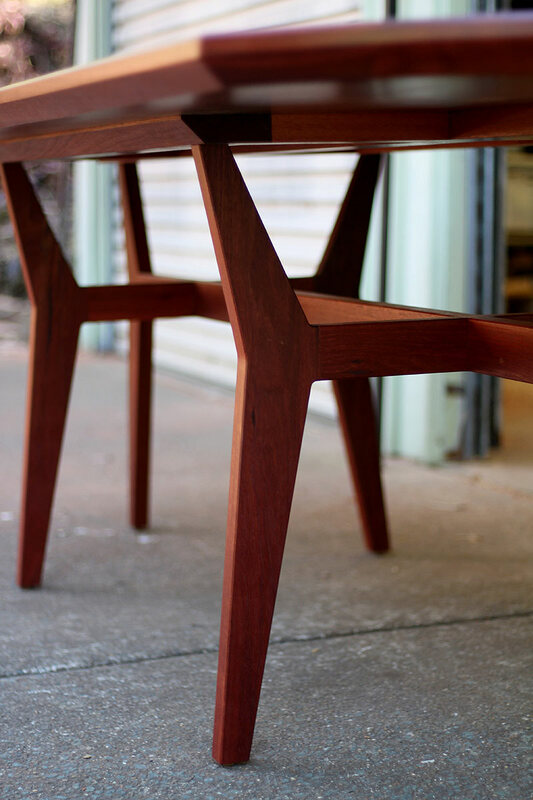 The timber for the original tables is old growth Jarrah and was salvaged from the Fremantle wharves in Western Australia. 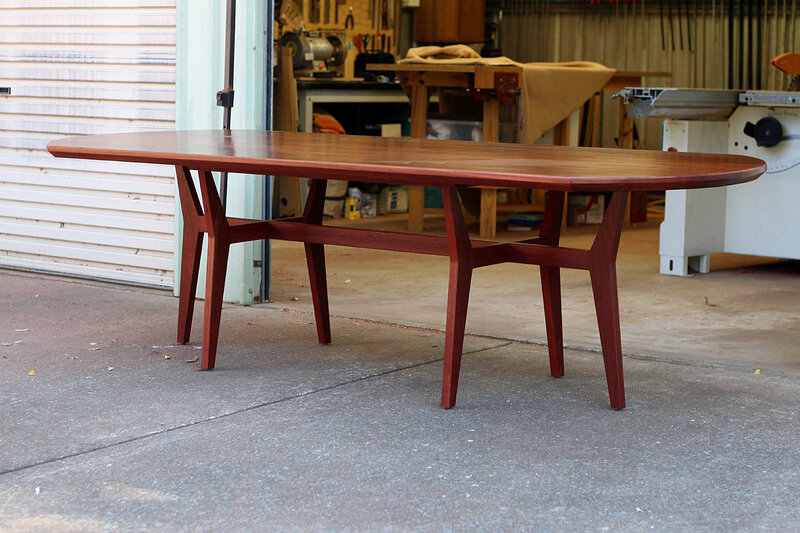 Dimensions: Dining table - 2700 long x 1000 wide x 750mm high. 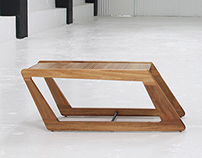 Coffee table - 1000 dia x 470mm high. 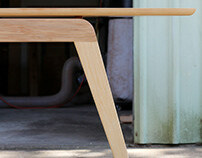 Side table - 1200 long x 465 wide x 470mm. 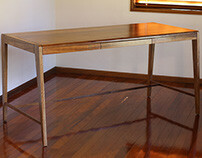 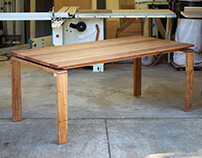 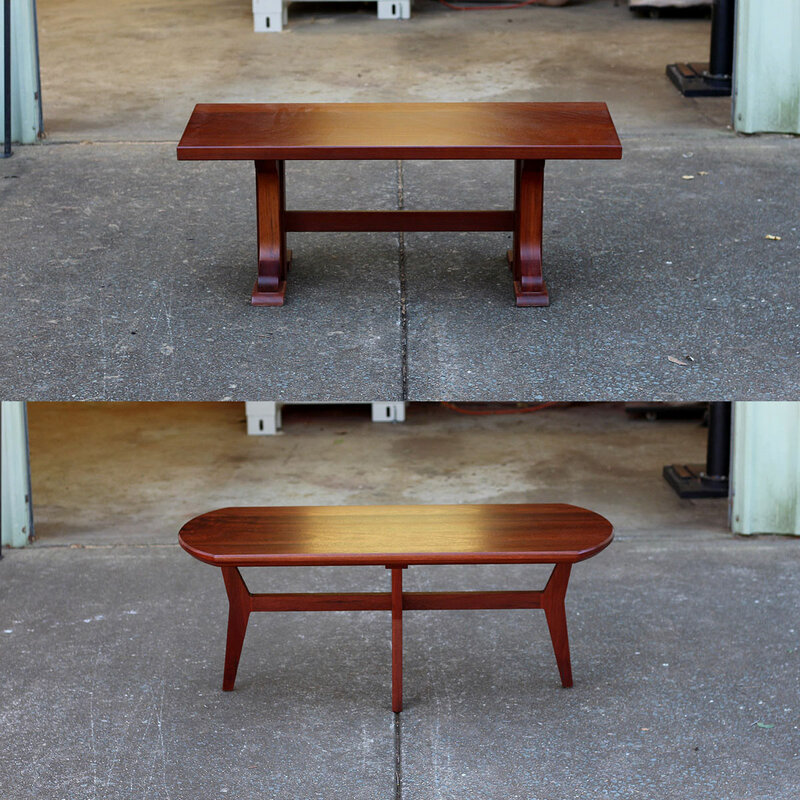 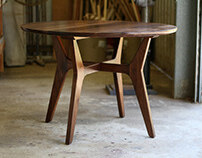 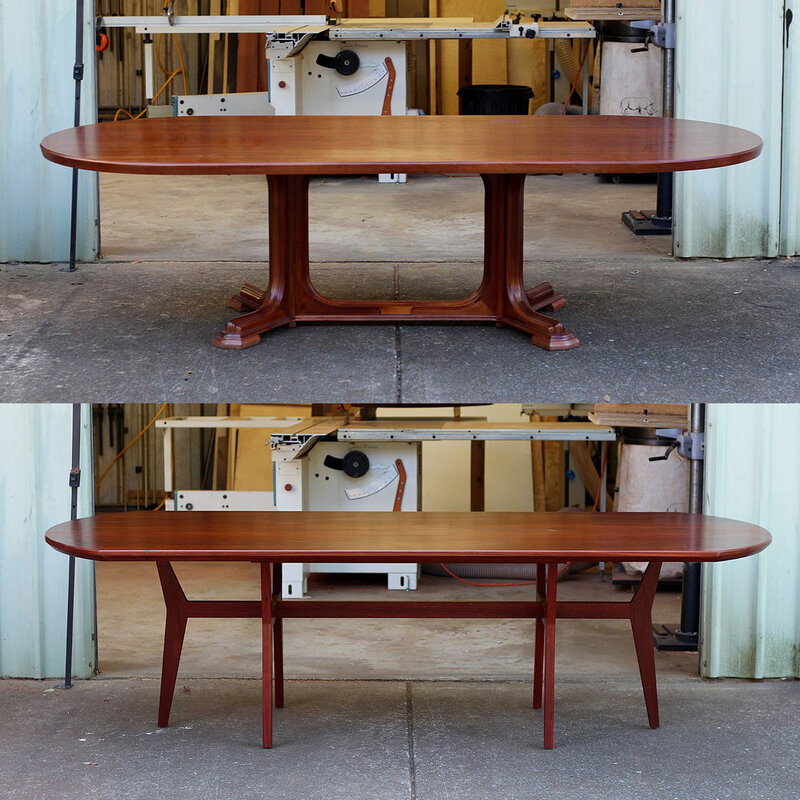 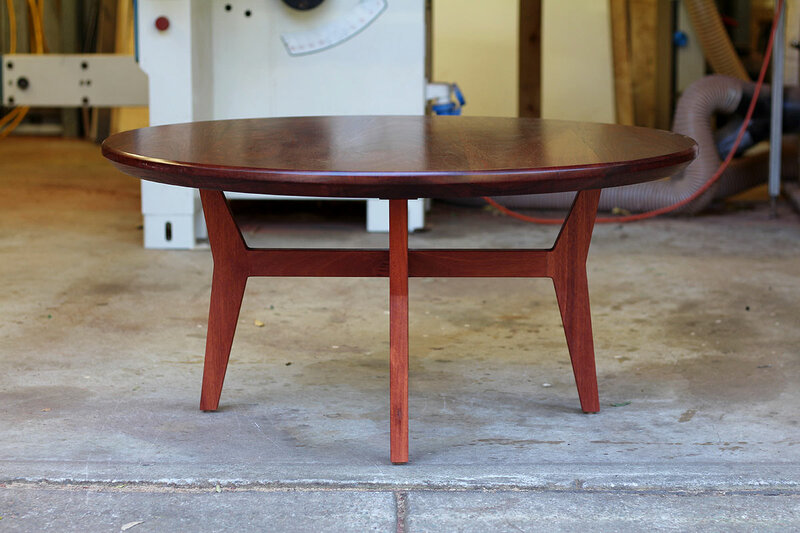 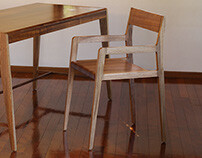 Remodelling of 3 existing tables from period to modern/mid-century.